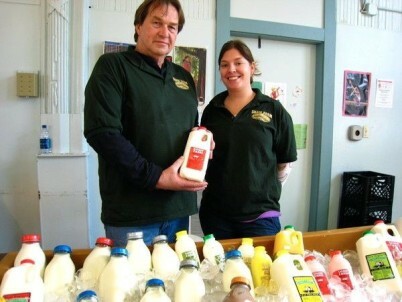 Shaw Farm has been providing high quality local dairy products to the Merrimack Valley since 1908. Their organic milk is pasteurized at a low temperature in order to protect the flavor. While this pasteurization method is slower, they feel it’s worth the extra time to preserve the rich, old-fashioned flavor and increased health benefits.